2. Click your Profile icon at the top right corner of the page. Hover your cursor over the Preferences option, then move to the submenu that appears to the left and click Edit profile. 3. Now, in the General section there are default settings that you can change to personalize your profile. 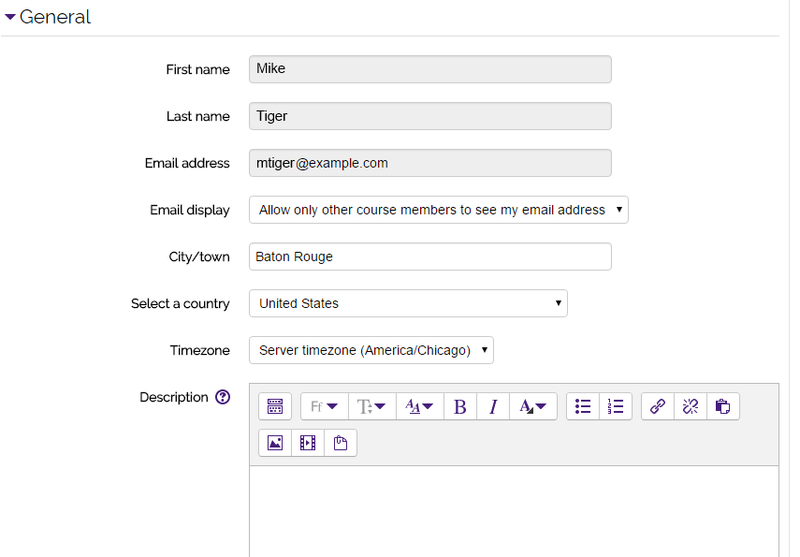 You can choose whether your email can be seen or not by other course members. You can also choose are a different Timezone and add a Description to your profile. 4. Additional Names provides options to describe how your first and last names are pronounced, along with options for your Middle name and your Alternate name. 5. The Interests section can be edited to add personal interests in the form of tags. 6. In the Optional box you can enter other personal web pages, instant messaging ID's, or ways others can contact you. 7. 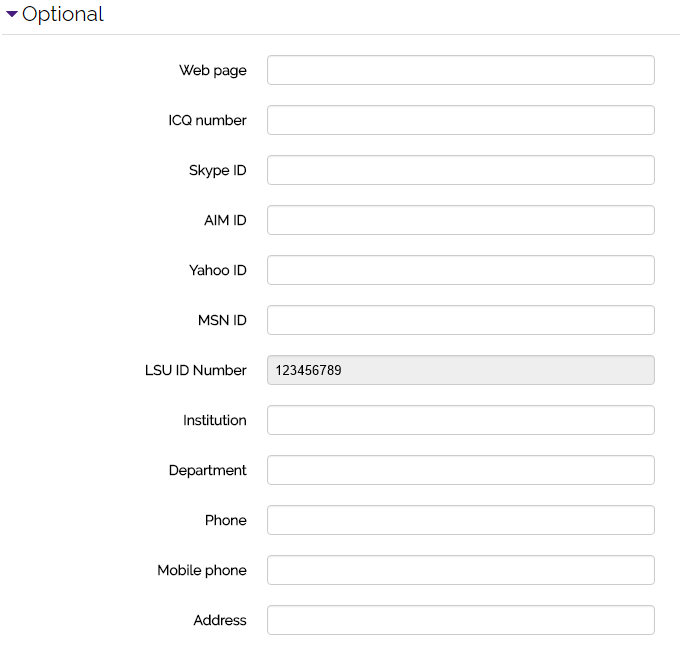 Additional Profile Fields includes three options: ProctorU Status (for online course exams), Keypad ID, and Anonymous. In most cases these fields do not need to be edited. 8. To save the changes click Update profile on the floating box near the bottom of the screen.